RUSH Walton celebrates 10 years of successful business! What did RUSH Walton get up to last week? RUSH ensured that the message was spread on all social media channels to create awareness and let customers know about the event. All the staff at Walton were looking forward to closing slightly early and preparing the salon for a fun evening. This gave the salon staff a chance to celebrate all their hard work. When guests arrived they had an opportunity to sit with a Stylist and have a colour consultation. The Stylists were also demonstrating Christmas party hair styles. The guests seemed to enjoy the demonstration as a lot of them had upcoming Christmas parties and were stuck for ideas. Walton had exclusive offers on throughout the evening. There was £20 off GHDS and buy 2 and get the 3rd free. RUSH sell the best hair care products, including; Kérastase, Redken and Moroccan Oil. The Prosecco and canapes were flowing and all the guests were happy and having a great time. It was the perfect opportunity for clients to stock up on stocking fillers and gifts! The evening was a success as the salon was bustling with clients! 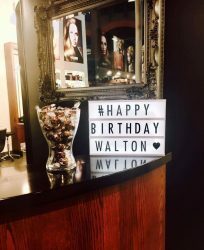 At RUSH we love to celebrate, and Walton turning 10 was a great excuse to show everyone how successful our salons are. 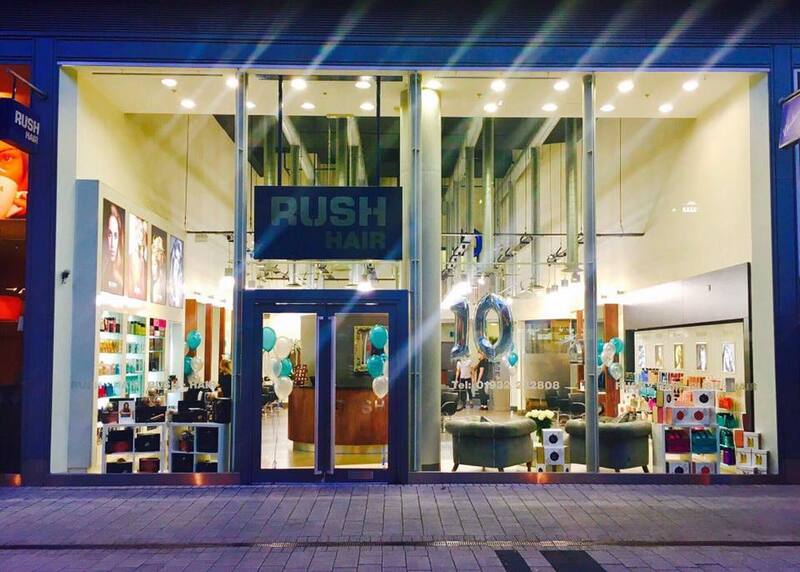 Book your appointment at Rush Walton today.